When someone asks you to attend a concert featuring Chaka Khan, Anita Baker, Fantasia, Smokey Robinson and more, what do you do? You graciously accept the invite! And that is the story of how The Root became a media sponsor for the 13th annual Jazz in the Gardens Music Festival. As the fastest-growing jazz and R&B festival in the United States, JITG, in Miami Gardens, Fla., is the kind of ticket you want to get your hands on. Before I go on, think about this: Miami Gardens is one of the few black-run cities in the United States. So you know this festival is a big, black deal. And listen, JITG keeps getting better, because they have a special “I Love the ’90s” tribute planned with Salt-N-Pepa, Kid ’n Play, Trick Daddy and Biz Markie! I can hear my childhood screaming in glee now! Not only am I about to be swaying in the Miami heat (ha, see what I did there?) to the sweet sounds of Baker’s acrobatic alto notes, but there’ll also be a delicious spread of American and Caribbean cuisines and a chance to buy black with offerings of artwork, handbags, clothing and memorabilia. Ooh, I’m about to spend all my hard-earned money! 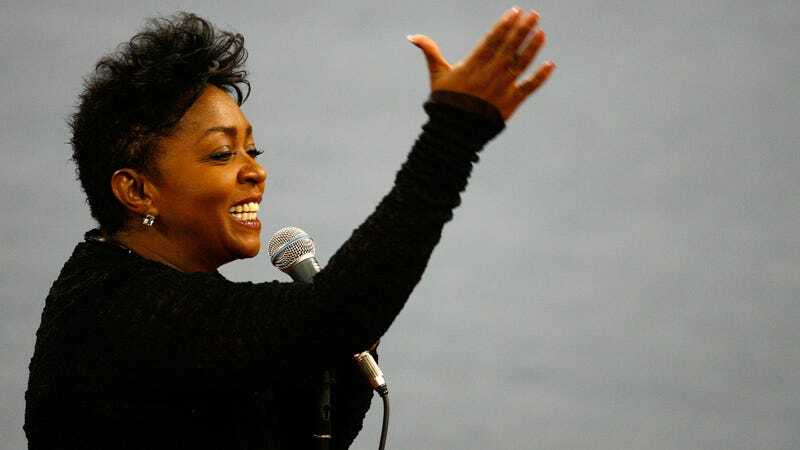 Anita Baker is a known recluse. She’s not alone on the list of artists who prefer the spotlight only when onstage. We’ve seen her “don’t look at me” behavior in others like Marvin Gaye, Sade, Lauryn Hill, Jazmine Sullivan and Bilal. Maybe it’s a thing that artists do to make us want them more? Hey, it works! I want to see Baker so bad, I am willing to go directly from a very exhausting vacation (I realize how first world I sound) right into working this show. I’ll do that for Anita Baker. I love her the way André 3000 does. Ain’t nothing wrong with that, Ms. Baker! I’m just glad she ultimately decided to hit us all with more performances. In January 2017, Baker announced on Twitter that she would be retiring by her 59th birthday later that year. But then, at the top of this year, she announced that she’d be giving her loyal fans a farewell tour. And here we are. I hate to see her go, but I’ll love watching her perform! Basically, Jazz in the Gardens is one big celebration of blackness in all its forms of artistic expression. I’m beyond excited because I feel as if I am about to have a major spiritual moment in Miami Gardens.